Quick, which group has the U.S. government helped out the most? Wall Street, maybe? Or the unemployed? Oh, how about all those defense contractors? Wrong, says Fox News contributor John Stossel. 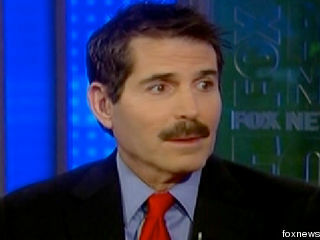 As far as Stossel is concerned, it’s Native Americans. Stossel was on Fox & Friends this morning to discuss some high-paying government jobs recently reported in The Daily Caller. The report found that the “Assistant Secretary for Indian Affairs needs someone to run the Facebook page for the Dept. of the Interior and they’ll pay up to $115,000 a year.” Stossel took that as an opportunity to wonder about the entire concept of a Bureau of Indian Affairs. Established in 1824, Indian Affairs is the oldest bureau of the United States Department of the Interior. Among other responsibilities, the Bureau is charged with “maintaining the federal government-to-government relationship with the federally recognized Indian tribes,” according to its website. This post was written by Eric Lach for Talking Points Memo and is appears here under a content sharing agreement.